£1,000 Prize Pot Up For Grabs in Christmas Raffle 2018. 1st Prize £500 and 2 x £250 prizes each - £10 per ticket or Buy 2 & get 3rd ticket FREE. Glenrothes Cricket Club and Glenrothes Gladiators are delighted to launch our Christmas Raffle 2018! The club sell 200 numbers at £10 each. If you prefer to pay via PayPal please click here. Numbers will be allocated by email and the draw will take place at 10am on Sunday 23rd December on a live video stream. Please note - Prize value based on club selling all 200 tickets, total will vary incrementally based on lower ticket sales. 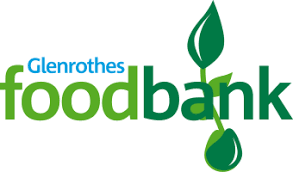 The club will also make a Selection Box donation to Glenrothes Foodbank from the fundraising element. Please contact Greig Hopcroft with any questions.  Gladiators FREE Multi-Sport Club - Indoor Dates Confirmed Initial 3 dates announced indoors to the Glenrothes Indoor Football Arena at the Michael Woods Leisure Centre. Glens Legend Bill Philp Passes Aged 94  Glenrothes CC recently lost one of its honorary Life Members as Bill Philp passed away at the grand old age of 94.